What a great looking scene! Everything just works perfectly together. 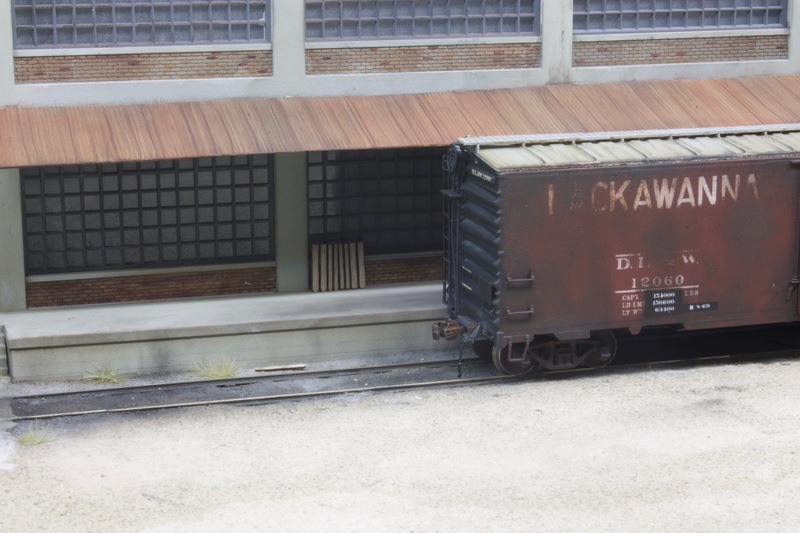 The weathering on the concrete portions of the building and the loading dock looks fantastic, the ground around the track is just beautifully done, and the boxcars look awesome! And of course, the awning looks great, too. Just some really fine work! You know how it is, no doubt: you pick away at a scene, take a break from it to work on something else, go back to it when time permits, and then one day it all seems to come together. Thanks for the kind words! Looks very good to me, almost smell the factory!